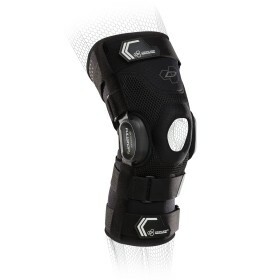 Recognized as the best ligament knee brace available. Top-of-line protection that is custom fit for your leg. Ideal for athletes who participate in contact sports and want to prevent a knee ligament injury or re-injury. 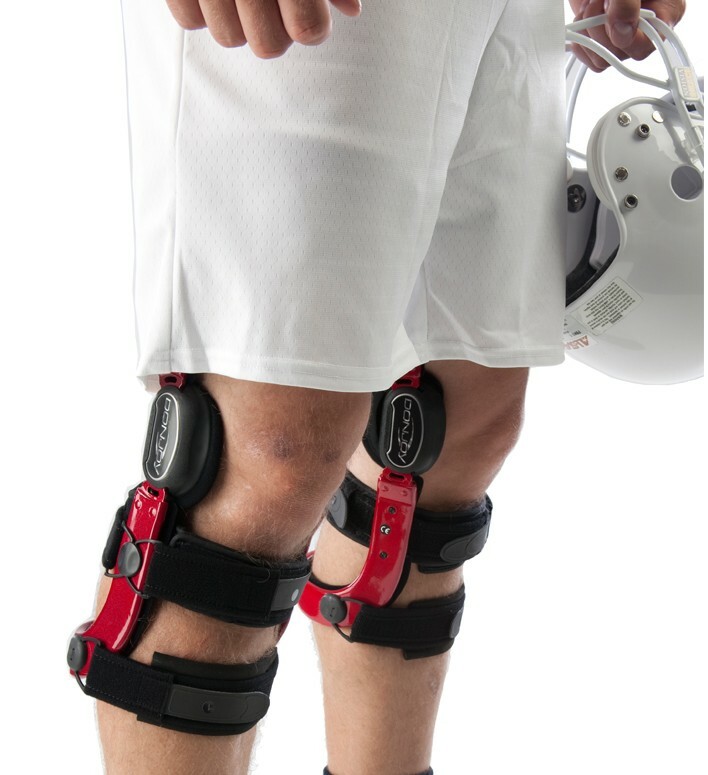 The Defiance III is one of our strongest knee braces by DonJoy and is recommended for athletes participating in high-collision sports, like football, motocross, or skiing. 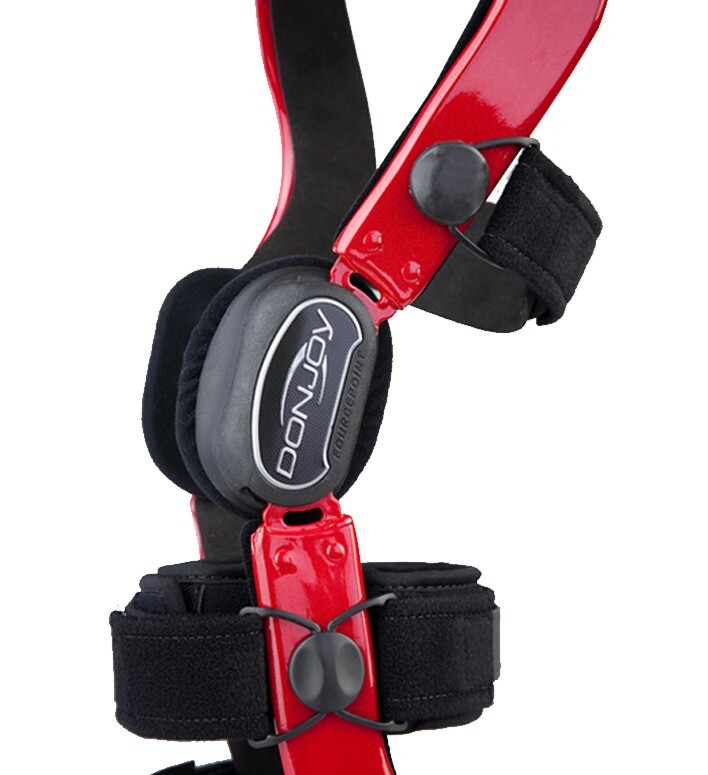 The DonJoy Defiance III Knee Brace is one of our top custom knee braces. 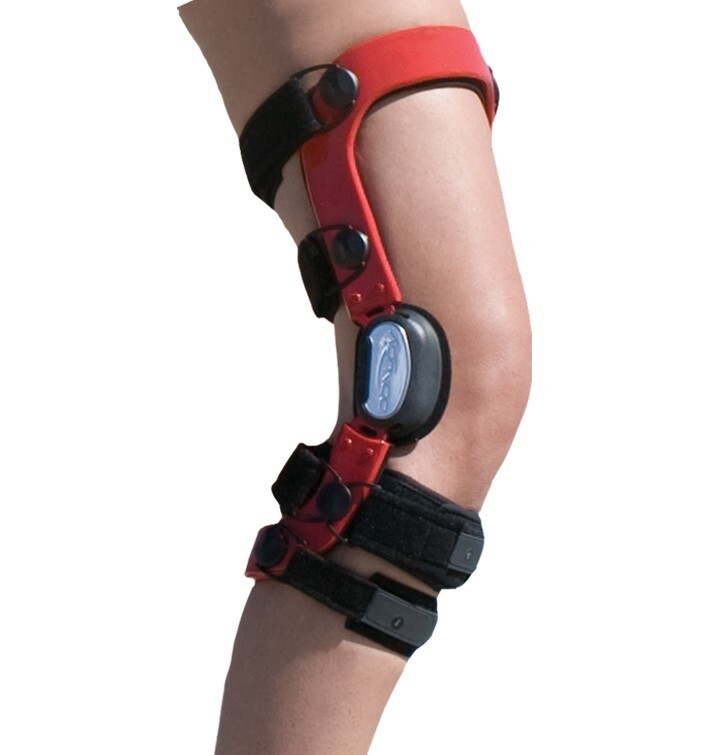 This brace is also ideal for athletes who participate in water sports like surfing, wakeboarding, or kite surfing. 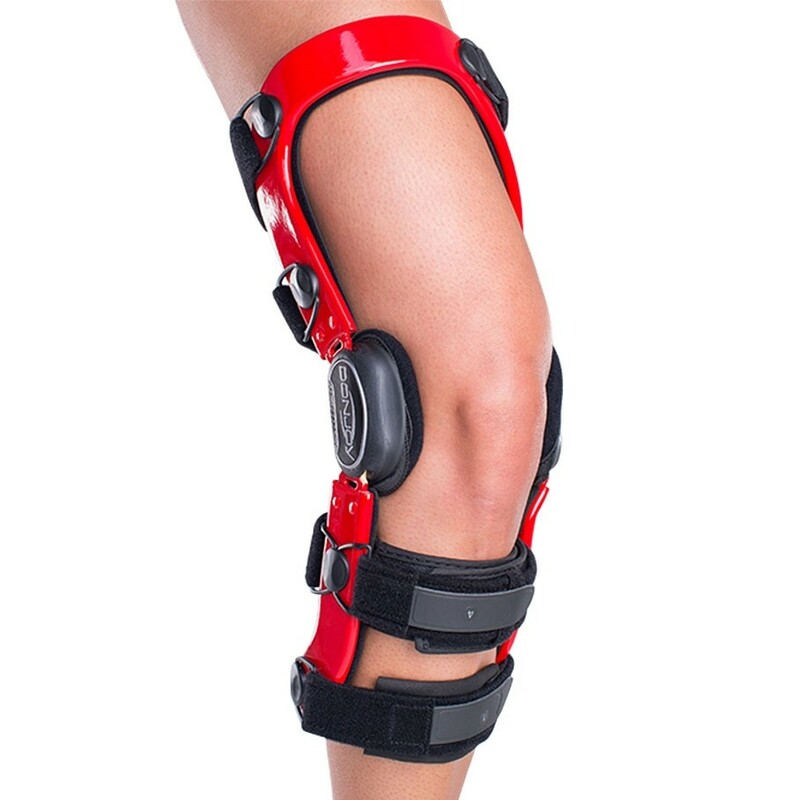 People recovering from ACL and other knee ligament surgeries also use this brace on a regular basis. If you are involved in non-contact sports, require a lightweight brace to maximize speed, or want a custom brace for everyday wear we recommend the DonJoy A22 custom knee brace. Manufactured to your exact measurements to ensure support, protection and comfort during movement. 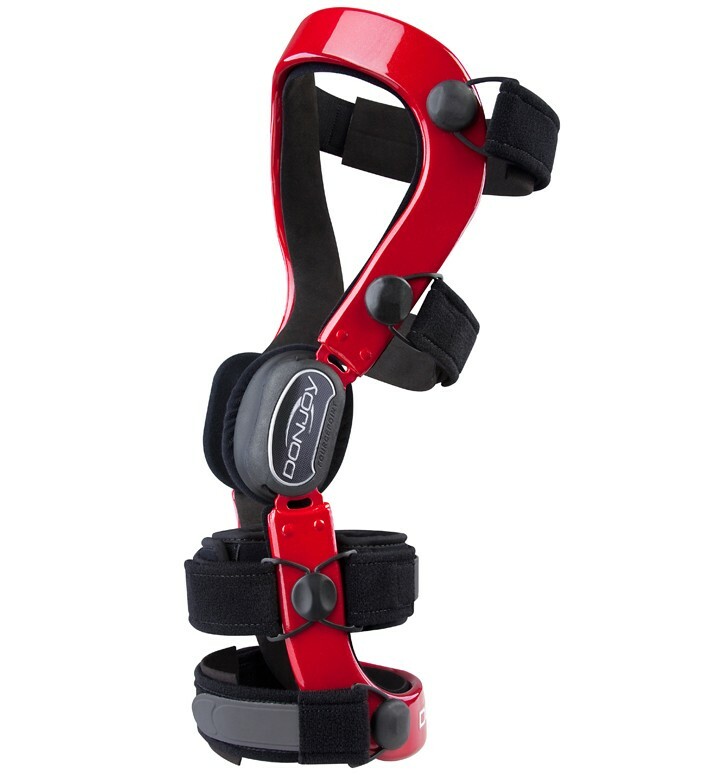 Lowpro Fourcepoint Hinge Technology helps reduce the amount of time the knee is in an "at-risk position"
If your looking for the best brace this is it. I have work many braces on left and right legs for my knees. I have had my Defiance III braces for 3 years and will say they are super strong and durable. The provide maximum support for me. I replace the pads every 4-6 months and pretty easy to do on your own. Cons: Bulky, can't get squeeky hinges over long term use. Love this brace, sometimes it pays to spend more. This brace has been great. I since added the patella stabilizer on my brace as well. I completely torn my acl and partially torn mcl. I have to put surgery off for a while due to job and insurance reasons and so i decided to get measured for a custom fit brace. Thanks to this brace I can walk normal and go back to work. Order and delivery was fast. Thank you. Cons: Pricey but again sometimes it pays to spend more. Great product for intense activity -- I play a very high level of soccer still (I'm almost 30) and the Defiance III holds up really well. I had a grade 3 MCL tear (didn't need surgery) and was in a full hinged brace for two months. I then went through 3 months of PT before going back to soccer. I wanted to feel extra safe when I went back to playing and I can confidently say this product mentally and physically puts me at ease. The fitting process was simple and the product was shipped quickly. Pros: Works as described and is more comfortable than I expected. It's really lightweight and I don't feel restricted while playing soccer. Cons: The only con is that the outside metal piece with the DonJoy logo on it has already fallen off, so it looks kinda strange to see the bolts underneath. Great brace, I feel very confident returning to the field. The measuring and fitting process went very well, they came to my work and it was quick and smooth. I bought this brace for my grandson. He had a couple surgeries to repair an acl issue. He plays high school football, mountain bikes, wakeboards, etc. He loves this braces. It is comfortable and completely supports his knee. It provides him the confidence to be active at the level he is accustomed to. I highly recommend this braces as well as Better Braces, especially their customer service.